Having trouble understanding your sprinkler repair technician? We take the time to walk with our clients so they understand exactly what service they are receiving. 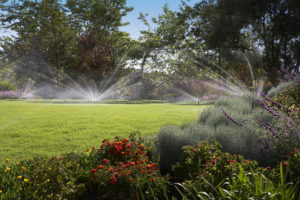 It is our goal to ensure you are knowledgeable about your irrigation system and sprinkler repairs. To that end, we’ve provided a short list of key words to help you identify an irrigation system’s components. Rotor: A type of sprinkler that provides water to the surrounding area by turning, or rotating, in either a back and forth motion or in a complete 360-degree circle. There are various types of rotors with different output levels that are further fine-tuned by nozzles which dictate rate of water release. In short, a rotor provides a single stream of water in a rotating motion. Spray: A type of stationary sprinkler that releases water in a fan shape to the surrounding area. This is similar to the shower feature on a hand nozzle that you would attach to your hose. Sprays do not rotate, instead they accomplish coverage by fanning out the water to reach the area around them. Popup: Sprinklers which have a body that rests at ground level and send up a rotor or spray component to reach over grass or plant material. These are especially useful in lawns where mower damage can cause endless repair needs. Drip (or mirco): A type of miniature sprinkler which produces a very low output of water, usually via a drip. This element is especially useful in targeting root zones or in areas where a slow release is preferred to keep water usage low. We hope this helps. Irrigation systems are based on a simple idea but can have a complex map of parts and pieces. If you’re ever in doubt, or you’re simply curious, give us a call. We’d be happy to answer your questions. I need to make sure that I get my sprinklers repaired. It makes sense that I would want to hire someone who knows how to fig popup sprinklers! It would be bad if I hired someone to take care of it when they didn’t know how to handle my specific kind. Absolutely! It also helps to be an informed client. The Total Sprinkler & Lighting team is dedicated to walking our clients through necessary repairs and ensuring that they know the in’s and out’s of their sprinkler system. 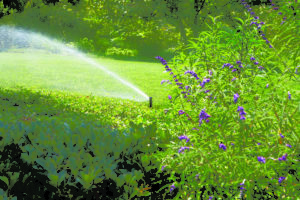 We hope you found our post helpful in identifying components of your own irrigation system.